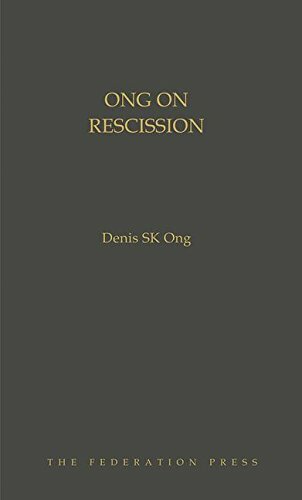 Ong on Rescission is Professor Denis SK Ong's fifth treatise in the field of equity. With its rigorous, yet accessible, approach to this complex area of law Ong on Rescission is a perfect supplement to his earlier acclaimed works: Trusts Law in Australia (now in its 4th edition), Ong on Equity, Ong on Specific Performance and Ong on Subrogation. Denis Ong is a Professor of Law at Bond University.